Replacing an air conditioner is a significant, often unexpected, expense for most homeowners. It’s beneficial to have a trustworthy and reputable Pittsburgh air conditioning contractor on your side. Top Notch Heating and Air is that ideal AC contractor. We’re dedicated to ensuring Pittsburgh-area homeowners purchase the right air conditioning unit for their home and family. Is your central AC system more than a decade old? Does it seem like you’re calling for AC repairs more than once a year? Are these repairs becoming more and more expensive? If you’ve answered “Yes!” to all of these questions, it’s probably time to consider an air conditioner replacement. Is An Air Conditioning Replacement Expensive? Today’s technology is rapidly evolving. Additionally, more stringent EPA (Environmental Protection Agency) regulations have mandated the manufacture and sale of newer units using more ozone-friendly/energy-efficient refrigerants. In the long-run, despite the initial purchase price and installation costs, the central air systems manufactured and sold today are money-savers for most households. This is because they run more efficiently than older units, which translates to savings for you. Less energy is consumed and this lowers the electric bill. Many times, our emergency dispatchers are called for last-minute urgent AC repairs and can successfully bring an older air conditioning unit back to life. These fixes are often sustainable, especially with regular maintenance and care, or they can only briefly delay the inevitable – fully replacing the entire central air conditioning system. If our technicians feel your central air conditioning unit is nearing its final days, or notice repairs becoming more frequent and expensive, we’ll advise you of your replacement options. Many times, homeowners choose to replace older inefficient systems with a newer, more energy-efficient central air conditioning system with the goal of saving money on their monthly electric bill. Modern central air systems can be up to 60% more efficient than units manufactured just ten years ago. Systems manufactured prior to 2010 typically run on the most commonly-used industry refrigerant at the time – R-22, also known as freon – which is now being phased out in the United States due to government regulations. While freon is available through 2020, investing in a newer more energy-efficient central air system using the more ozone-friendly R-410A is not only beneficial to the environment but your wallet as well. Top Notch carries a variety of brands and models to choose from – including Goodman and Airtemp. All of our Pittsburgh AC contractors are factory-trained and familiar with the pros and cons of each unit. We are actually the top Goodman dealer in Western PA. Goodman HVAC products include perhaps the best warranty in the business. Proper installation of your new central air conditioning system is critical for proper function and reliability. In addition to the manufacturer’s warranty, all of our installation work is also guaranteed. The average cost to replace a central air unit varies on the type, size, and if any added accessories or ductwork are needed. To assist homeowners, we accept most major credit cards and have financing options to choose from. Some AC contractors in Pittsburgh may guide a cost-conscious customer to a partial central air conditioner replacement where only the outside compressor is replaced. We know that for the best efficiency, the indoor handler must match it, and partial replacements will only shorten the lifespan of your investment. This is why we’ll work as hard as we can to find a complete AC replacement within your budget. Additionally, we are too ethical to steer you to an over-sized central air conditioning unit that will only cost you more, waste energy, and lead to mold, mildew, and a musty-smelling home due to inadequate dehumidification. When we visit your property, we assess your square footage and other pertinent information to determine a properly-sized central air conditioning replacement that suits your budget and needs. 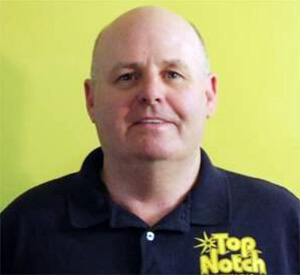 If you’re mulling over air conditioning replacement in Pittsburgh or a surrounding suburb or county, contact TopNotch Heating and Air. We’ll have one of our technicians come to your home for an assessment and price estimate. Call us today at 412-381-0598 if you’re interested in AC replacement in Pittsburgh, PA. We service the entire Greater Pittsburgh region and travel anywhere throughout Allegheny County – including Upper St. Clair, South Fayette, Oakdale, Squirrel Hill, Shadyside and more.